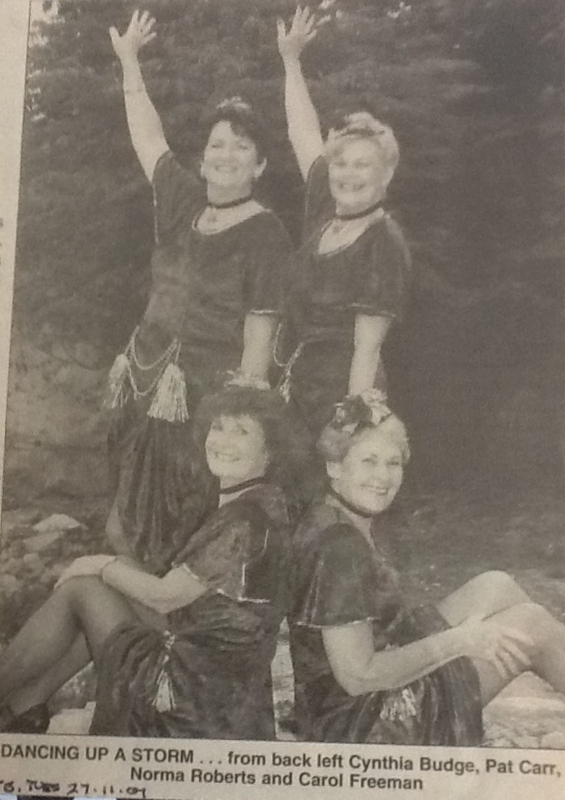 Mature age dancers Pat Carr, Norma Roberts, Carol Freeman, Robyn Wynter and Judy Fox started dancing as a group in 1989. 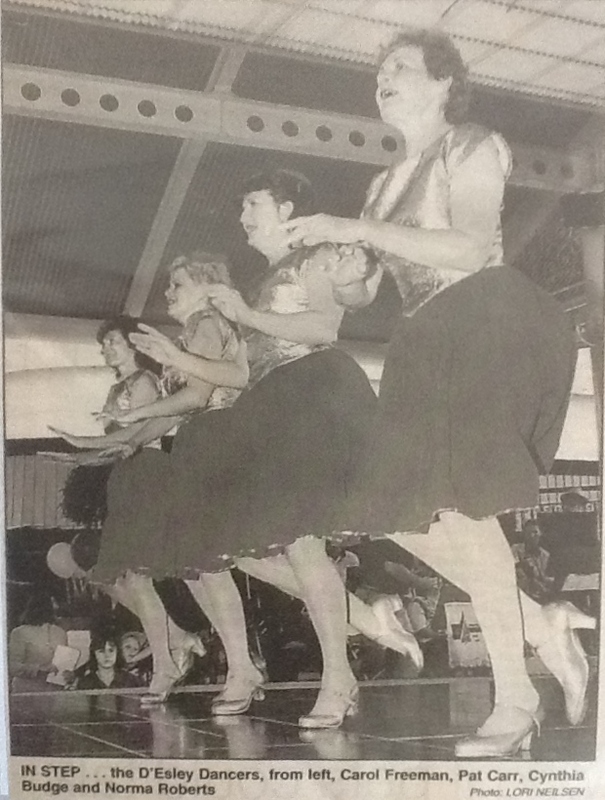 They had been learning tap at Ann Roberts School of Dancing for 4 years when their teacher, D’Esley Smith, saw the need for a group of tappers to entertain at charity functions, nursing homes, and senior citizens groups, and sought out a group to entertain. The five put up their hands and took on extra lessons one night a week to build up a repertoire of routines. 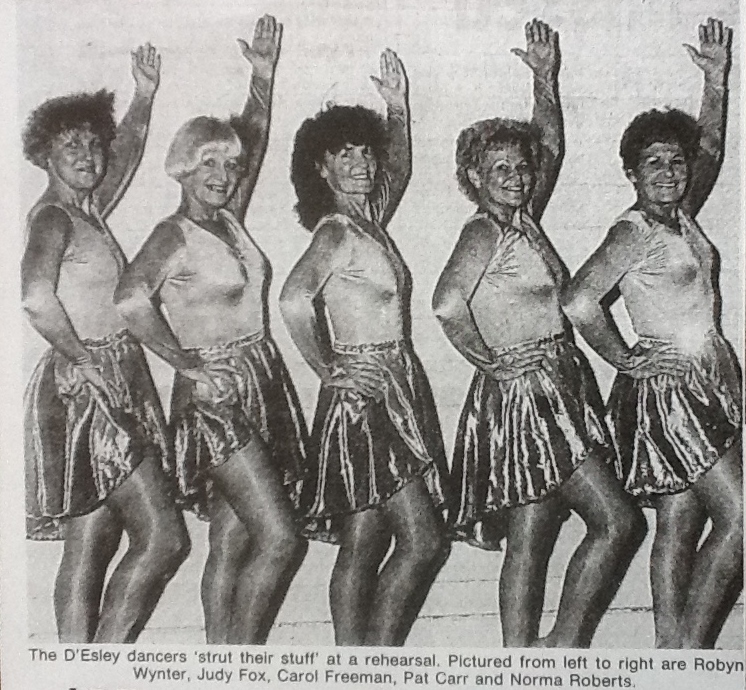 They named themselves the D’Esley Dancers after their teacher. About 1995 Robyn Wynter and Judy Fox left the group but the other three original dancers continue to perform with Cynthia Budge who helps out at night time venues and other special occasions. 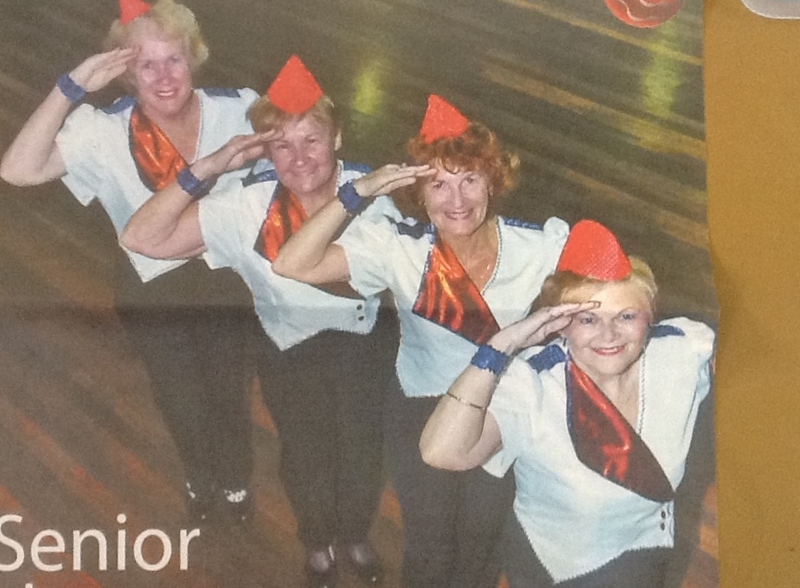 They have danced at all the nursing homes in Townsville, Balls, cup day functions, New Year’s Eve shows at the Townsville Civic Theatre, Pacific Festival, Coral Sea and VP50 celebrations, Seniors week, and have even went to Charters Towers for one of the Seniors Clubs to entertain at their morning meeting. They have also performed in Home Hill. They have also tap danced in musical theatre shows at the Civic Theatre like “Anything Goes”, “42nd Street”. and “Me and My Girl”, and many others. L-R: Robyn Wynter, Judy Fox, Carol Freeman, Pat Carr, and Norma Roberts. L-R:Carol Freeman, Pat Carr, Cynthia Budge, and Norma Roberts.